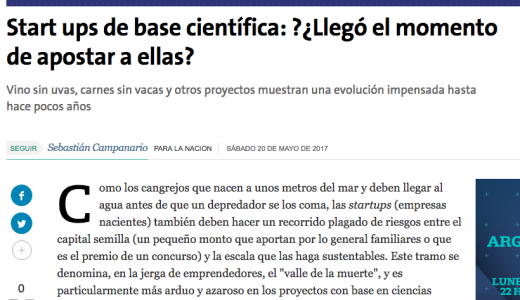 I was featured in an article released in La Nación (Argentina) on scientific -based startups writen by Seba Campanario. Read the complete article here (in spanish). This entry was posted in Marketing Online and tagged base científica, La Nación, Sebastián Campanario, startups by editor. Bookmark the permalink.